Venancio “Anciong” Bacon (1912-1981) stood at 5 feet, 2 inches tall, and was no more than 120 pounds, but was known as a fierce fighter. He started his training in the 1920’s at the Labangon Fencing Club, learning the Corto Linear style from Lorenzo “Ensong” Saavedra, his only FMA teacher. During his time with Saavedra, Bacon became steeped in the Corto Linear style while also studying boxing, Dumog (Filippino grappling) and Jiu Jitsu. The Corto Linear style that he learned from Lorenzo Saavedra suited him well, allowing him to close the distance and work on the inside of his opponent’s range. In numerous matches Bacon became known for his speed, precision, and ability to off balance his opponents, making it difficult to attack him. During a match he would flow smoothly, striking a vital target and moving onto the next before his opponent had a chance to react. However, perhaps Bacon’s greatest trait was his desire to improve and his ability to learn from these matches to refine his art, stripping away anything that did not prove its worth in combat. In 1932 the Doce Pares Club was established by the Saavedra’s and Canete’s. Anciong Bacon was one of the first twenty-four members. According to an interview in Bladed Hand, a Filipino documentary about Filipino martial arts, Grandmaster Ciriaco “Cacoy” Cañete said that Bacon was among the best fighters in the Doce Pares Club, second only to “Doring” Saavedra. In 1952, Bacon along with Delfin López, Timoteo Maranga and others, left the Doce Pares Club, citing skepticism of the system’s combat effectiveness and established a new club. The newly formed club began training in the backyard of a watch shop owned by one of Bacon’s students. The shop was located on a small side street in Colon, called Balintawak St., which eventually became the name of the style. He was described as lightning fast and surgical with a stick. He had a rare talent to be able to employ varying force to his exact targets on his adversary’s body, and exploiting their balance and coordination. During the 1950s and 1960s, eskrimadors from various camps, mainly Doce Pares and Balintawak, tested each other’s skills in all-out challenges, sometimes by arrangement and sometimes by ambush, often resulting in injuries and, more rarely, deaths. In one such ambush, Venancio Bacon was caught in the dark while walking to his home in Labangon, and killed his assailant by snapping his spine. Bacon was tried and imprisoned, with the judge ruling that Bacon’s martial arts skills could be considered a lethal weapon and should have been used with restraint. While in prison, he recruited further students, including Bob Silver Tabimina who would regularly travel to the prison to train with Bacon. Upon his release on parole in the mid-1970s, Bacon returned to Cebu and Balintawak. He did not resume leadership, but did regularly attend training sessions conducted by José Villasin and Teofilo Velez until his death a few years later. 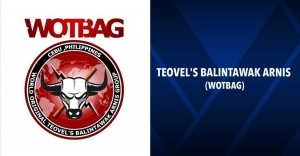 In Balintawak, the stick is only used to enhance and train the individual for bare hands fighting, and to achieve perfection in the art of speed, timing and reflexes necessary to acquire defensive posture and fluidity in movement. The typical method in martial arts is to teach unarmed techniques first and weaponry later. Filipino martial arts turns this around, beginning with weapons and then moving to empty hands. This develops attributes relevant to combat such as speed, timing, power, and control at a faster rate by engaging in a more intense experience. If you can successful manage sticks that routinely move at 60+ mph, then a punch coming towards you doesn’t seem like that big of a deal. The concepts and techniques that are developed with the stick in Balintawak work regardless of whether we are using a stick, a blade, or empty hands. Today, there are a number of Balintawak groups teaching different versions of the system. Most instructors use the “grouping” method for teaching the techniques while others continue to teach in the traditional way, as Bacon used to teach. Balintawak is built around 12 basic strikes which take into account any angle of attack that the human body is capable of. Each strike is paired with a defense and counter strike. Balintawak places a heavy emphasis on defense. Anyone can swing a stick but it takes skill to stop a stick moving at your head with intent. It doesn’t matter how powerful you are, if you don’t stop that strike you aren’t going to get a chance to launch your own. Once proficiency is shown in the basic strikes and the defense and counters the student is taught the groupings. Each grouping consists of a small number of related movements that focus on a different attribute or concept of combat. Once these building blocks are assembled the student learns to improvise and develop their own personal style. This is the framework of Balintawak. If you have no prior martial training it provides a solid foundation on which to stand and it allows those with previous experience to integrate their other arts. An important aspect in the development of the Balintawak practitioner is being able to teach. Balintawak is not meant to be taught in a group setting, by its very nature it is to be taught one on one. One teacher, one student. As the student progresses they are tasked with sharing their knowledge with newer students. This helps develop a deeper understanding of the concepts and techniques by forcing the practitioner to focus on every aspect of them. This is most prominent in the concept of “Agak”, their version of sparring. While “Agak” does not have a direct English translation it can be taken roughly as “to lead or to guide”. A senior practitioner will feed strikes to a junior practitioner and correct their form as they defend and counter them. As the junior practitioner progresses the groupings are added. These exchanges are never scripted and are meant to test the reactions and defense of the junior practitioner while allowing the senior practitioner to train their offense. This practice culminates at higher levels in a free flowing exchange between the two practitioners, each vying to “take the flow” and put the other on the defensive, ultimately rendering them unable to continue the flow either through a trap, a disarm, or some other technique. The principles and concepts of Balintawak have, however, found their way into many different Filipino martial arts. 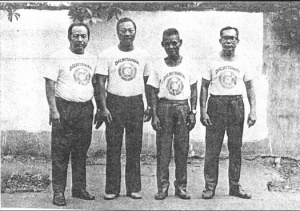 Modern Arnis, founded by Remy Presas studied Balintawak under Arnulfo Mongcal, who also introduced him to Anciong Bacon as well as Liborio “Tiboring” Heyrosa founder of Heyrosa De Cuerdas Escrima, an unorthodox close range fighting system. Tat Kun Tao which was created by Joe Go, one of Venancio Bacon’s earliest students is a unarmed form of Balintawak with influences from Chinese martial arts such as Tai Chi and Five Ancestors Boxing. Ready to begin your journey? Start learning Filipino Martial Arts for FREE today! Looking to learn weapons? You can check out our Stick, Knife and Karmabit training. Join our Affiliate Program and earn 50% for every sale.